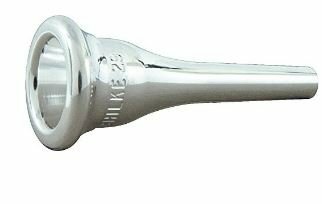 The Schilke French Horn mouthpiece line was developed in collaboration with professional players and colleagues of Renold O. Schilke. These models were later determined to fill a specific need in the horn community from student, educator, to professional player. The rims and cups shape provide variety of options for the soloist, chamber, or orchestral hornist. Standard Series mouthpieces in silver plated finish.